Are you aware of the A.O. Smith Water Heater Recall? Over 600,000 Ultra Low NoX Water Heaters Are Under Recall - Click Here To Read More And Get Help. If your water heater is leaking we can assist you in turning off the water and power. You can also watch our "How to turn off a leaking water heater" video - click the link above. Then we can help with a repair or replacement. If your hot water has turned cold. Click the link above to read about why you have no hot water. If you think you need to relight your pilot light, you can watch our video - "How to light a pilot" or call for help 24/7/365. Having a noisy water heater is mostly a nuisance, but sometimes it can also mean a problem is present. Learn more about "Noisy Water Heaters" by clicking the link above to read about possible causes. Click our link above to read more about what might be causing your hot water to run cold. You can also call 24/7/365 to speak with one of our water heater experts for help. Water Heaters Only, Inc is a full service water heater repair, replacement and installation company offering residential, commercial and tankless water heaters. We are a licensed and insured plumbing company with local offices in the San Francisco Bay Area, Los Angeles / Orange County, San Diego, Sacramento, Greater Dallas / Fort Worth and Phoenix areas. Water Heaters Only, Inc has been specializing in all aspects of water heater replacement and repair service since 1968 and is considered an expert in the industry. Absolutely the highest quality work for the lowest price is our guarantee. Our years of experience, along with the use of quality products and pride in our workmanship has kept our valued customers returning for all their hot water needs. We invite you to browse our website for more information and to learn about our company. We are the proud recipient of the Angie's List super service Award for 2007, 2008, 2009, 2010, 2011, 2012, 2013, 2014, 2015, 2016 and 2017. 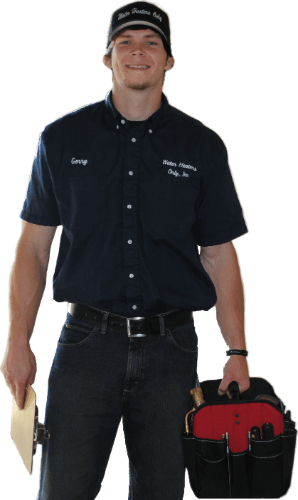 Our commitment to customer service along with our dedication to providing quality water heater service shows itself in the pride our technicians take in the job they do. 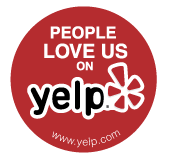 Please read our valued customer reviews to confirm for yourself why Water Heaters Only, Inc is the best choice for all your water heater needs. For immediate water heater service, 24 hours a day, 7 days a week, 365 days a year please contact us directly at 1-866-946-7842. Our Service Is Rated 4.9 Out Of 5 Stars Over 3,186 Reviews Read Our Customer Reviews - Click Here! My water heater was leaking water terribly. Needed to get someone out quickly because I was worried about water leaking and electricity (not a good combination). I did some research and talked to a friend that had used Water Heaters Only and had been very satisfied. Well, they were right. I called first thing in the morning and they had someone out within 5 hours. Provided me with a no cost estimate and no obligation. The cost was reasonable and in line with competition. They installed a new water immediately. The installer "Don" was very professional and extremely competent. I will recommend Water Heaters Only to anyone in need of a new water heater. My water heater broke suddenly and needed replacement. My plumber of many years had recently retired. Very fortunately for me I found and called Water Heaters only with a high amount of concern about risking an unknown contractor disaster. Such disasters have become commonplace. Boy did I LUCK OUT. ALEX showed up later the same day at the time I suggested and was quick to get started with a totally thorough and professional installation of my new water heater. He had everything he needed in his service van and noted and resolved a couple of code violations that I had been told about. This is the most Positive Home Service Experience I have experienced in many years.